Towards education that is re-linked to human values and is de-linked from commercialisation. Culture in the society can be refined through Education, the source being inherent. If ‘Respect for all beings’ has to emerge, educational processes has to be built on the loftiest and noblest processes of dedication and giving. It will never arise when the focus is on ‘Return on Investment’ and is available for purchase in shopping malls that pose as educational institutions. It will not happen when “teachers” are focused on achieving their career objectives instead of giving their commitment to students. To make a diversionary remark – Mother Theresa’s death happened on Teachers Day. 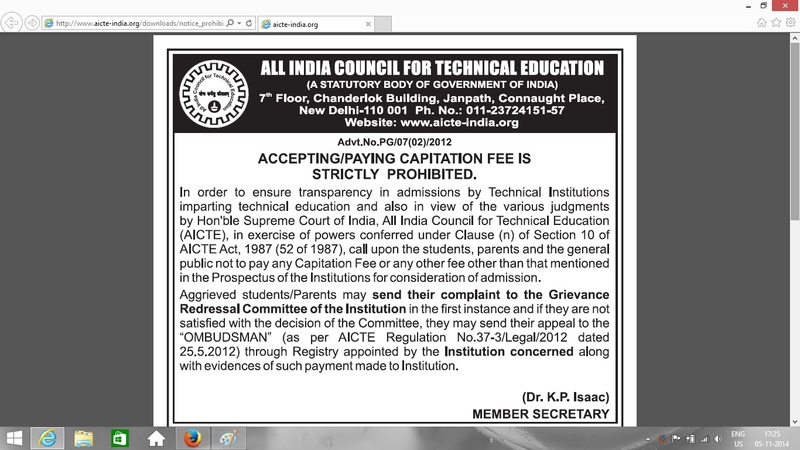 Despite instructions from the Supreme Court of India, and legal pronouncements banning the charging of capitation fee (or in names similar to them), many institutions continue to take capitation fee. Capitation fee for medicine touches a crore, and for engineering and business instruction, it is in lakhs. Now some nursery and primary schools also charge similar fee. While these institutes charges such high fee, the lower cadre employees of these institutes, who engage in the so-called menial jobs, are paid a pittance. These for-profit companies have benefited from the society and the government, posing themselves as educational institutions. They have received funds, subsidies and financial exceptions, and advantages in land acquisitions. The field of higher education is one of the three major contributors and sustainers of black money in India. 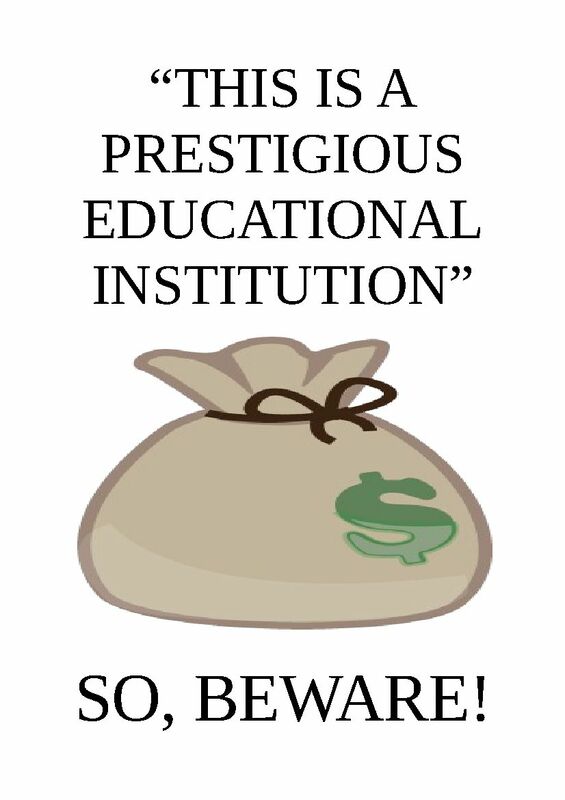 Charging fee for education is unidealistic, running an educational institution for making monetary profits is unidealistic and unethical, and charging capitation fee is unidealistic, unethical and illegal. As the practice of capitation fee continues, the Supreme Court, in August 2014, appointed Mr Salman Khurshid, former Union Law Minister, as an amicus curiae, and asked him to come out with suggestions to end this practice of taking capitation. India is known for committees and meetings and committees and meetings. So be it. If this is the way India works, let it work that way, but work we will. You may or may not have taken a bribe. You may or may not have given a bribe. Doesn’t matter. As citizens of this country, as inheritors of this glorious culture, as shapers of this nations destiny, it is important that we involve ourselves in the education of our nation. And thus, the below are four questions for you to which your response is asked or requested. 1. What is/ are your suggestion/s to Mr Salman Khurshid, to the Supreme Court, and to the various governmental authorities to stop the practice of capitation fee? 2. What can you do to promote and support educational institutions that are not connected to commercialization, and is rooted and connected to human values? 3. How can you help in creating an education system that is re-linked to the values of nobility? 4. If you are associated with an institution that is taking capitation fee, how can you ensure that this institution stops this practice? Make your suggestions specific. Give your responses in the comments section. Click on “Leave a comment” that you will find at the beginning of this blog post, or scroll down below to find the “Leave a Reply” space. You can post comments without giving your email id and name. You are also welcome to share this blog and its articles to as many people as possible. Is your college prestigious? Did you study in a reputed institution? Emperor Harshavardhana – A Teacher, Undesignated. Contemporary examples of “revenue models” in education!